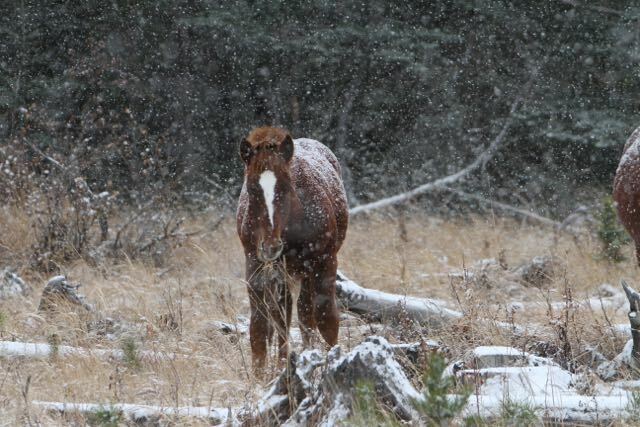 It was a snowy day this week when we headed out west to check on the wild horses. 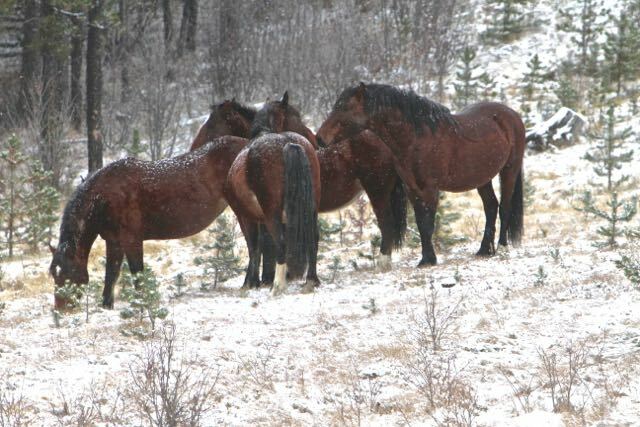 Despite the snow all the horses that we found were very healthy and doing extremely well. 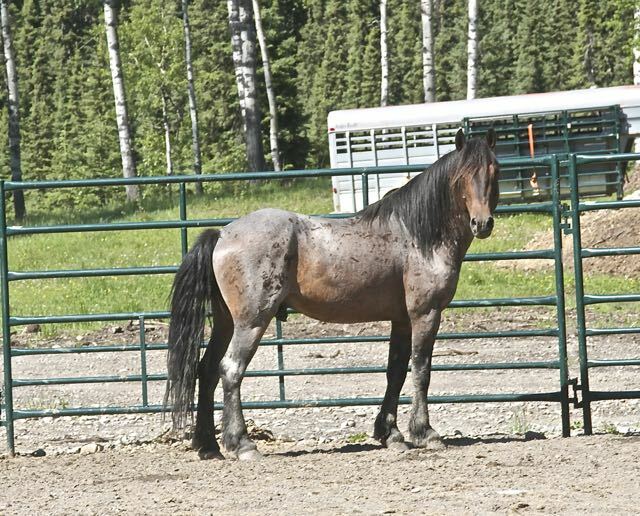 This pretty mare was accompanied only by a young stallion obviously starting his own herd. 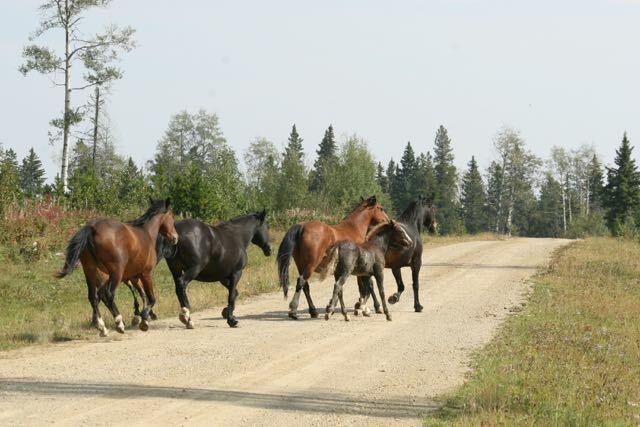 As were drove further we came across this beautiful herd of ten horses with three of them being this year’s foals. 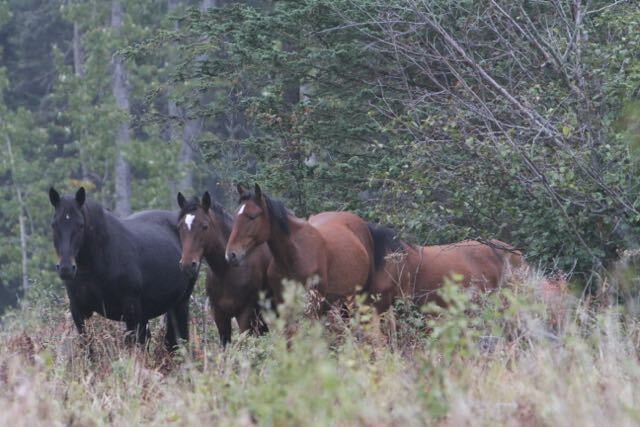 They paid very little attention to us as over the hill came a band of four young studs. Being typical young stallions it was wonderful to watch all the interaction that was taking place within this group. 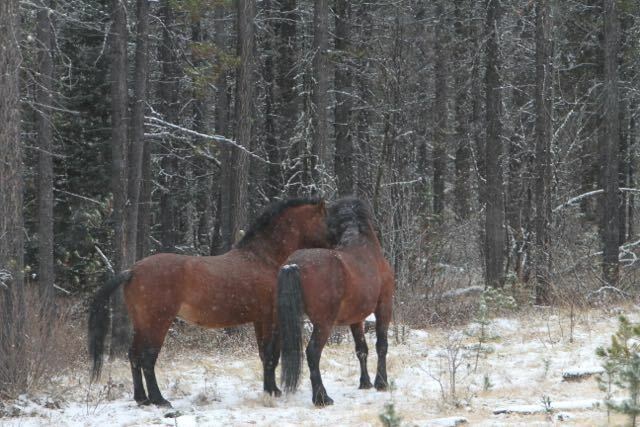 They were constantly testing each other while watching the larger herd. As we sat watching and taking pictures, one of the young colts from the family group was overcome with curiosity of the boys and their antics. Breaking from his family, he took off at full speed toward the bachelors. 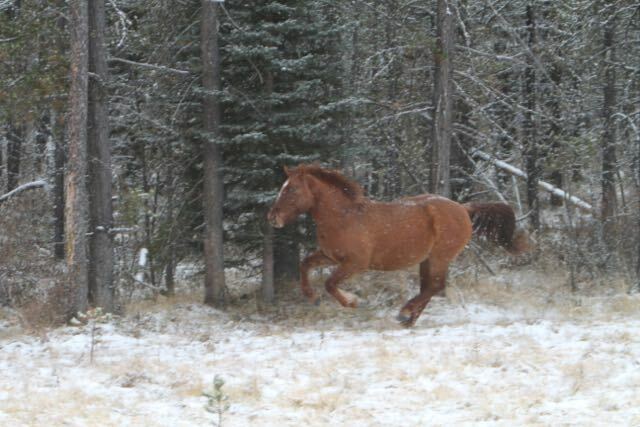 His buddy looked back at the herd to see if there was any reaction before he too took off. Next thing we see is the mare of one of these two. She snorted an alarm and raced off after the two little renegades. Now the herd stallion who had been feeding peacefully with the others, saw the commotion and knew trouble was brewing so he decided it was time to straighten things out. So off he goes after them. He is a beautiful, powerful boy and he moved with such authority. It was so amusing to watch this play out. Because the next thing we saw was the two boys and the mare hightailing it back to the herd. 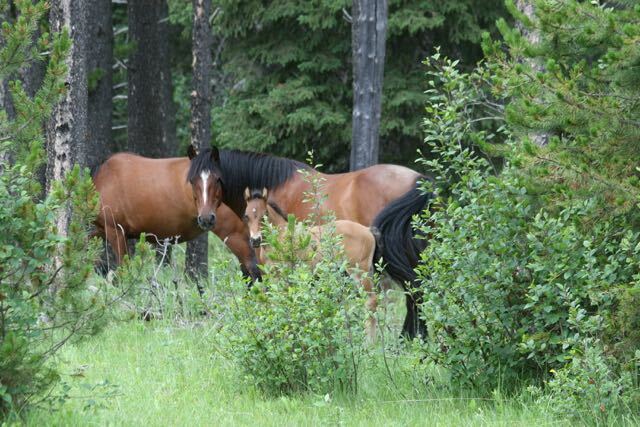 They were obviously chastised for disobeying the “family dynamics” of a wild horse herd. My goodness were they ever flying through the snow! 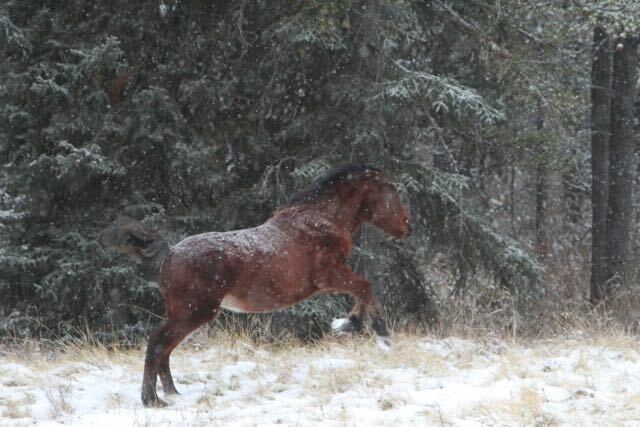 The stallion went right up to the interlopers, had a brief discussion, letting this boy know who was boss. He then sauntered slowly back to his herd with his chest puffed out. It’s moments like this that make the time we spend out with the horses, so rewarding. After all this ruckus the family went back to feeding wandering off and the four boys moved off the other way. Peace settled over the forest again. 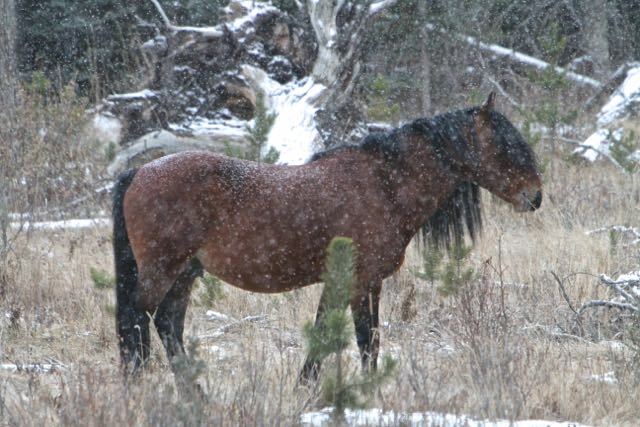 We continued on our way and came across many beautiful scenes of snow covered trees and wild horses. 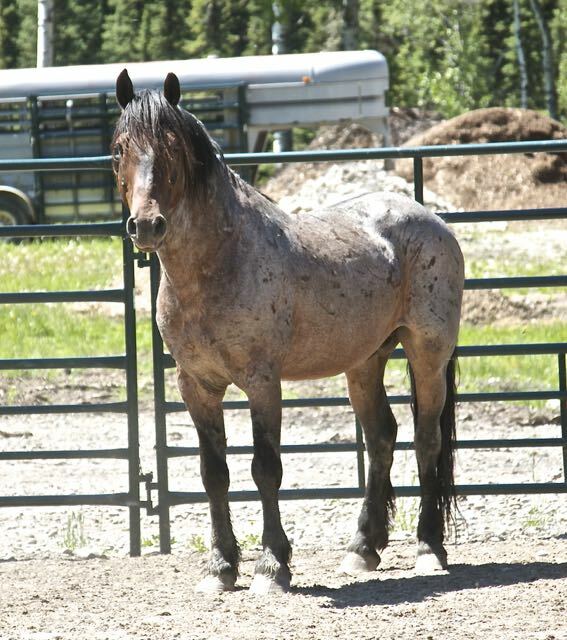 This amazing stallion had such a long mane and forelock standing proud over his family. 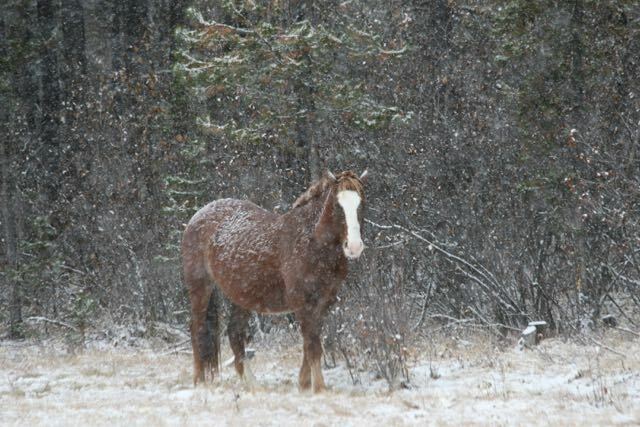 This little filly was part of another herd and despite the falling snow was finding lots to feed upon. 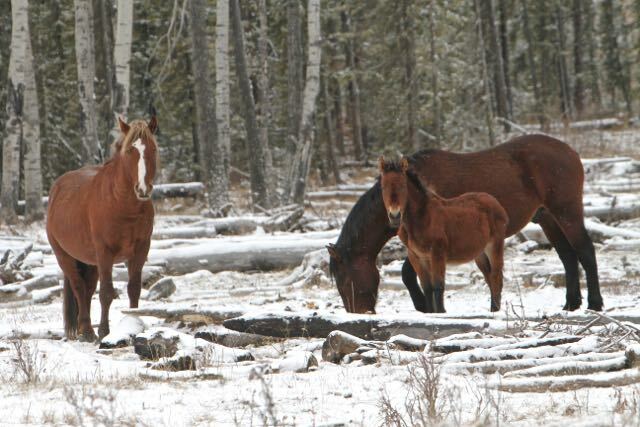 Rounding out our wonderful day, we came across this small family group enjoying a break in the snowfall. Got your WHOAS 2019 Calendar yet? 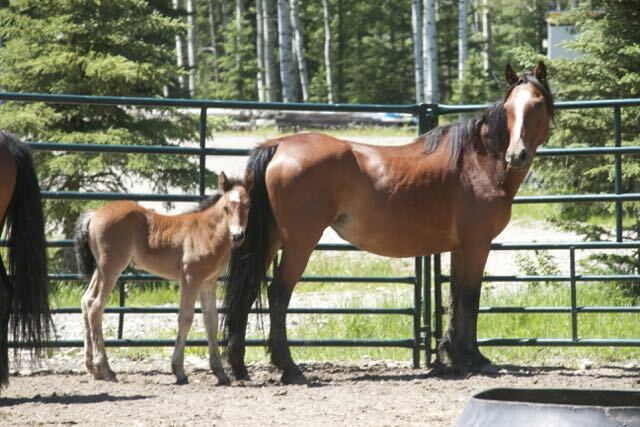 All money raised goes to our work to protect and save your Alberta wild horses. This little cutie does need your support. To order your calendar, click on link at the top of the page – “2019 WHOAS Fund Raising Calendar”. 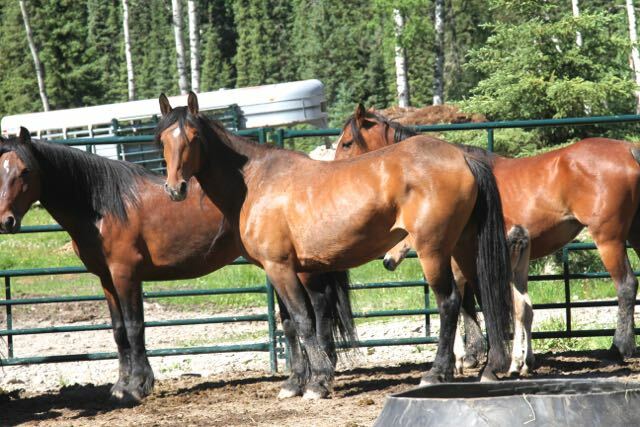 WHOAS has three horses left that are available for adoption. 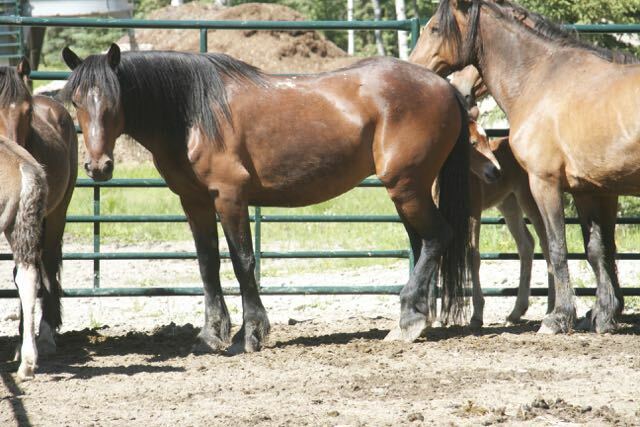 Visit the new page at the top of the website – “Horses Ready for Adoption” for pictures and video about them. WHOAS is pleased to announce that our annual fund raising calendar is now available. 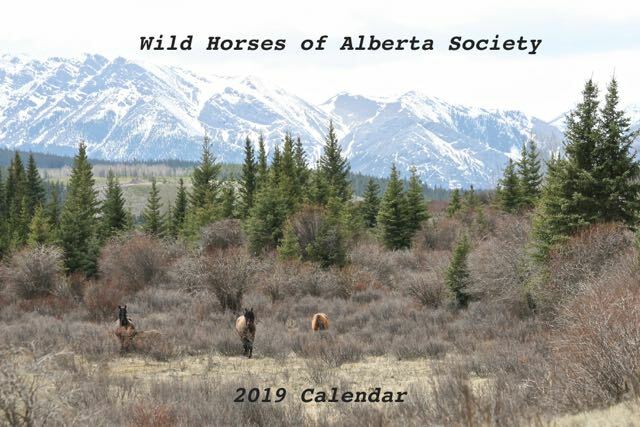 This is our 15th year of producing the calendar to assist in our work to protect save and rescue the Alberta wild horses. Just click on the link on the top of the home page to order the calendar though PayPal or how to order one through the mail. We attempt to send out the calendars as soon as we receive the order using Canada Post. 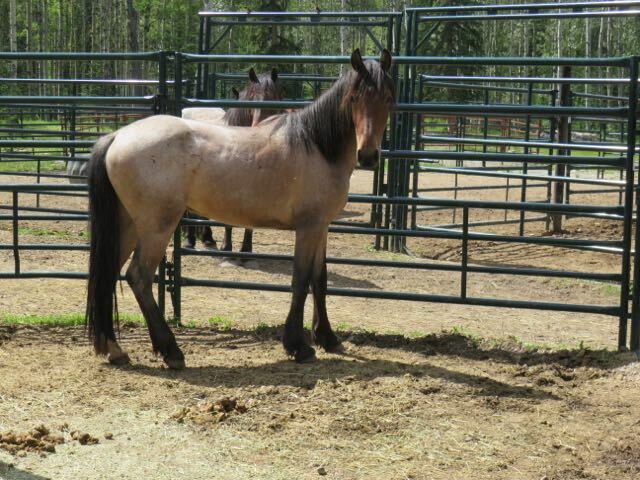 The monies raised goes toward our work in rescuing the wild horses that stray onto private land, such as the magnificent “Dakota” pictured above. 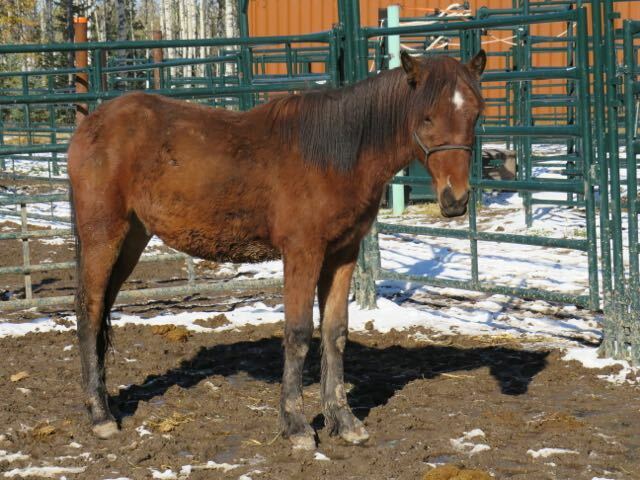 He will soon be ready for adoption as he has been gelded and vaccinated. He may be harder to find a home for as he is 12 years of age. We are still working with him and hopefully someone out there may willing to take on a project such as him. 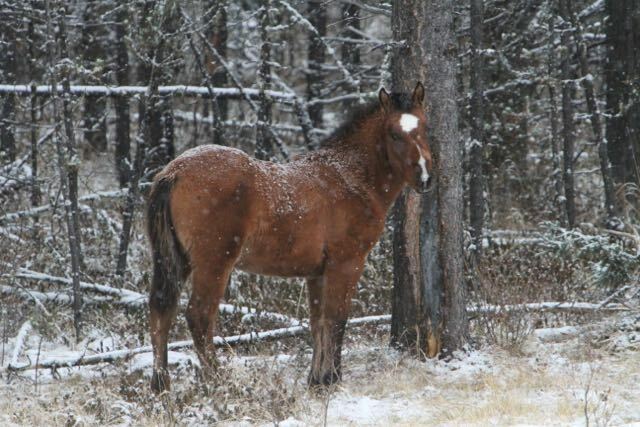 This is little “Dancer”, a yearling filly, that was brought in during the summer. 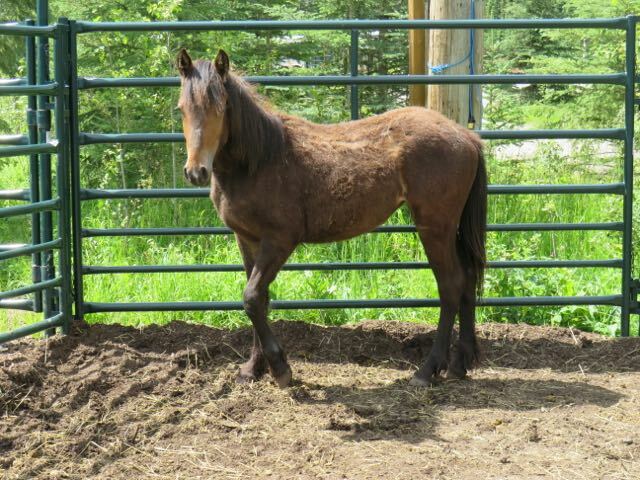 She is doing really well, comes into the barn, and is interested in people that visit her. The weather this fall has certainly not cooperated in helping her look as pretty as she really is. Too much mud and snow! 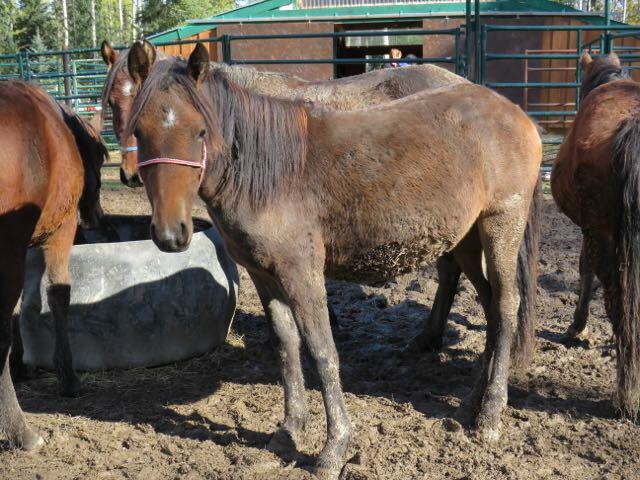 Here is her friend, “Dixie”, another yearling filly. 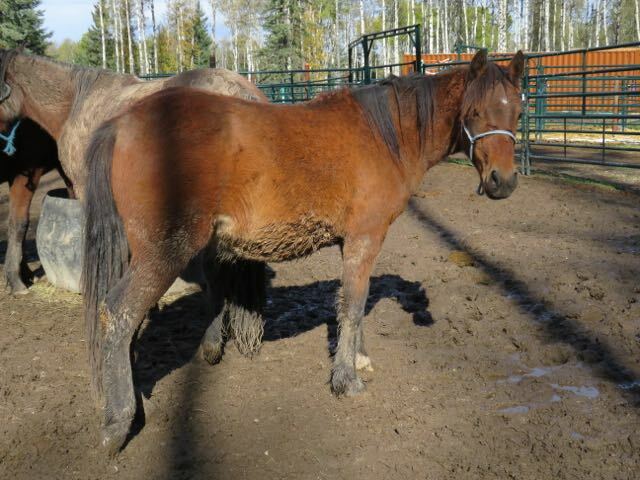 Why do horses enjoy rolling in the mud so much? 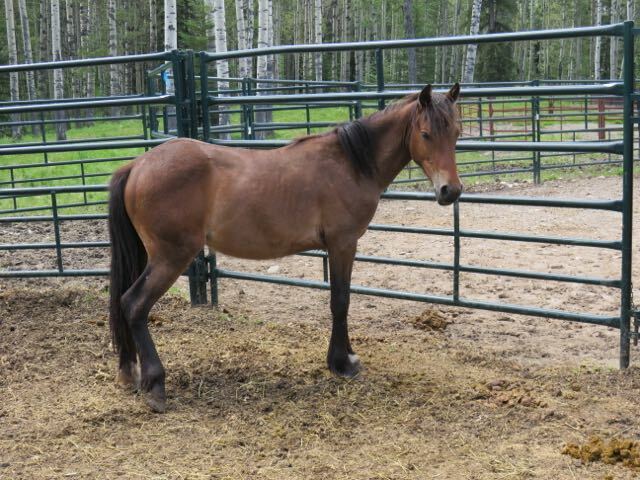 We are so happy that this young girl has been adopted and will soon be going to a new home. 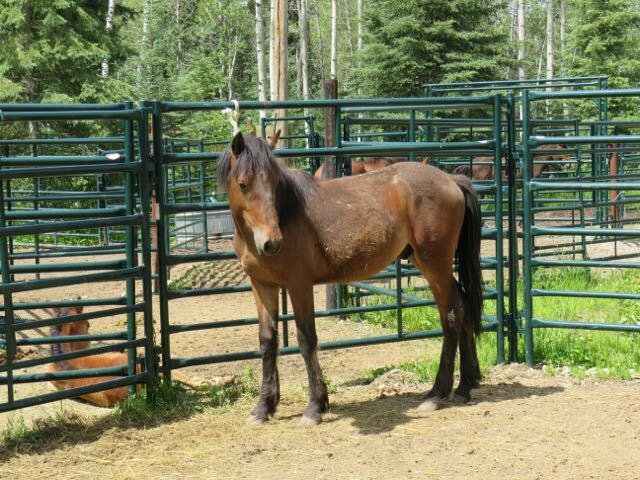 This is “Donny” who is a yearling who has now been gelded, wolf teeth removed, dewormed, vaccinated and branded. He is a very curious and friendly young boy. The beautiful young boy also has found someone who will give him a great forever home. 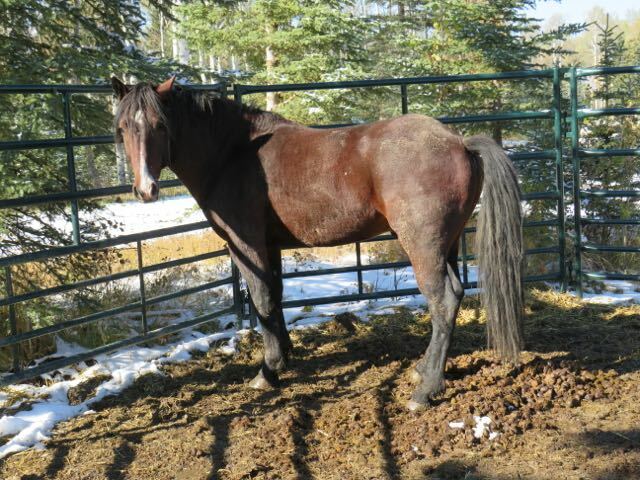 This beautiful boy is “Diablo” a three year old Alberta wild horse who also strayed onto private property looking for a lady friend. 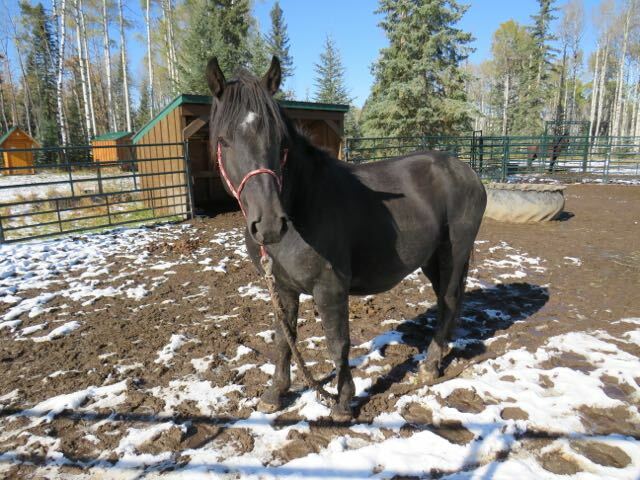 He is about 14.2 hh and he has also received the full treatment and is now a gelding too. 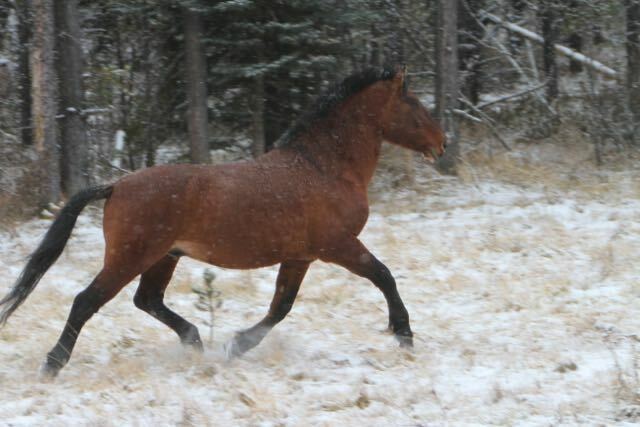 The next boy we have is “Dusty” who is a three year old, now a gelding. He is also around that 14.2 hands and very solidly built. 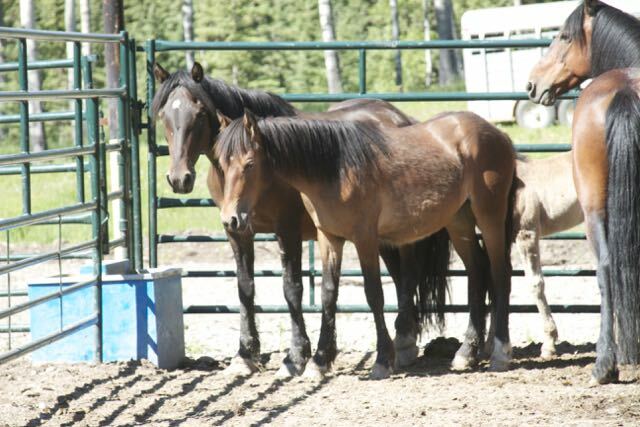 Again WHOAS has had to step in and rescue these young bachelors after they stray off of public land and onto private ranches. 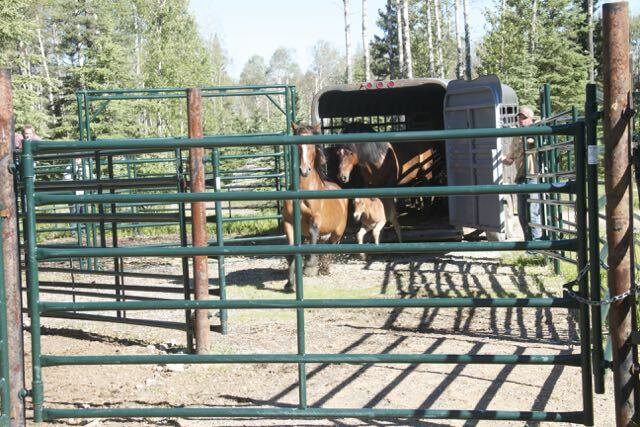 We are prohibited from relocating them back onto public land by the AEP. Finally we have “Duke” who we have just had to rescue in the past week. He has had nothing done to him yet and we are just working on calming him and getting him use to human interaction. 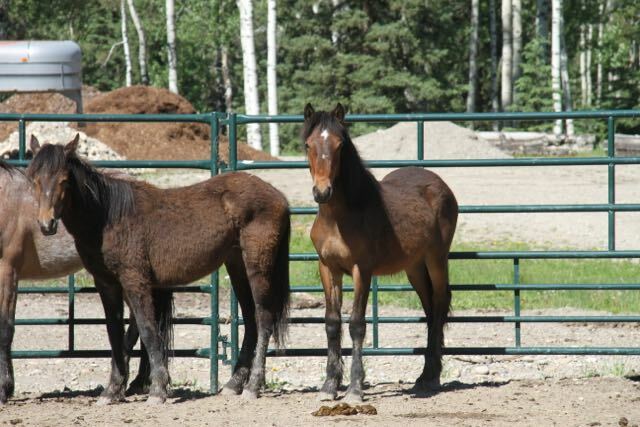 We have had a busy year having to step in and save these horses, but a new adoptive home is better than them being caught and sent to auction. 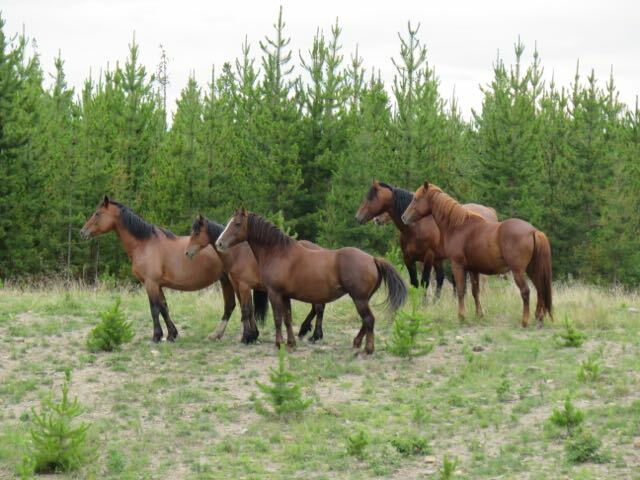 We have over the years rescued and rehomed over 90 horses and it is through the money raised by the sale of our calendar and your generous donations that we are able to continue to do this, giving the horses a second chance and an opportunity for a better life. 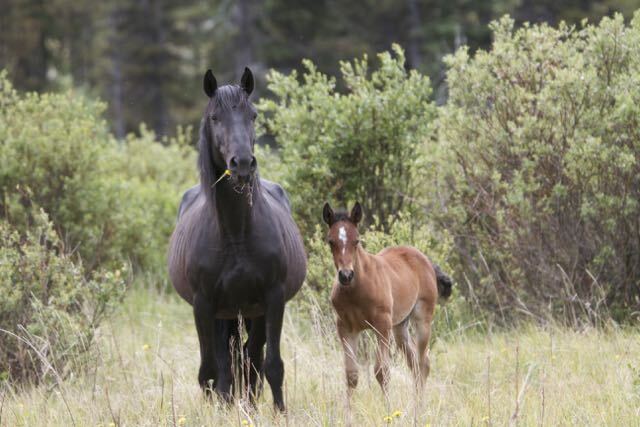 With our funding, WHOAS also continues to support the scientific research being done by university researchers in order to better understand the wild horses and their effect on the ecosystems of our Alberta foothills. 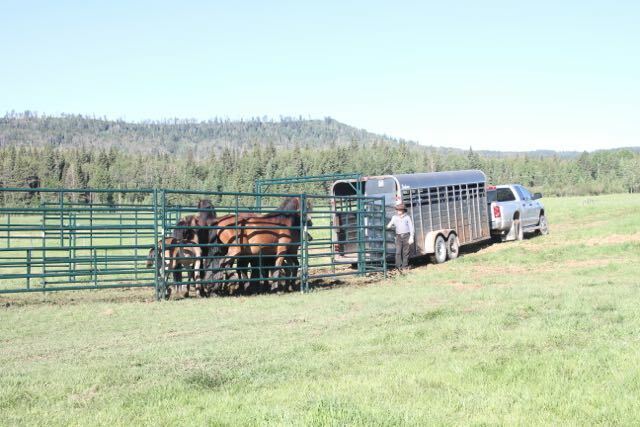 We are dedicated to finding solutions for the most humane and proper methods of wild horse management and have been since 2001. 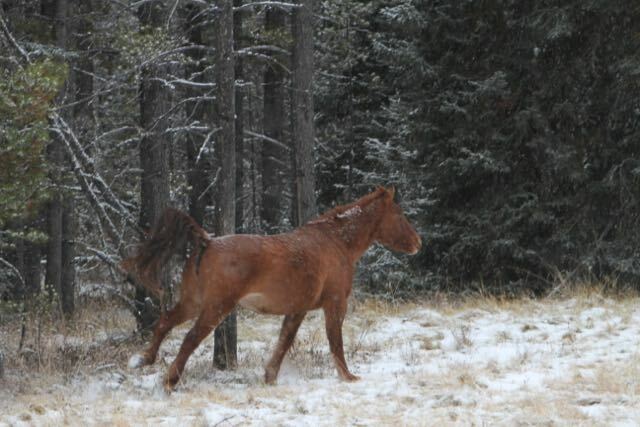 So we hope that you will support the wild horses too by purchasing one of our calendars. Just click on the link at the top or here. 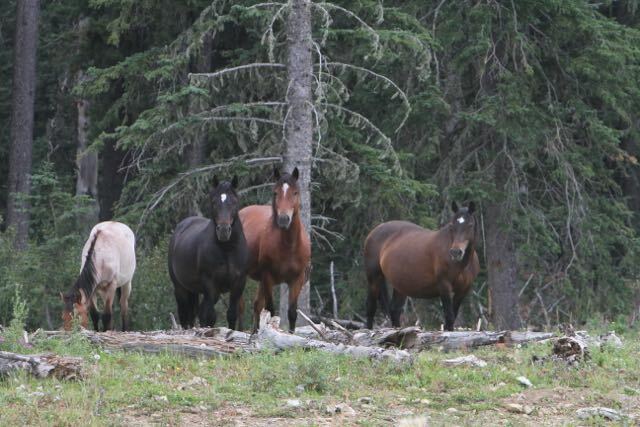 As the hot months of summer draw to a close the wild horses are doing exceedingly well. In the foothills the summer storms brought adequate moisture to keep the country green and healthy. 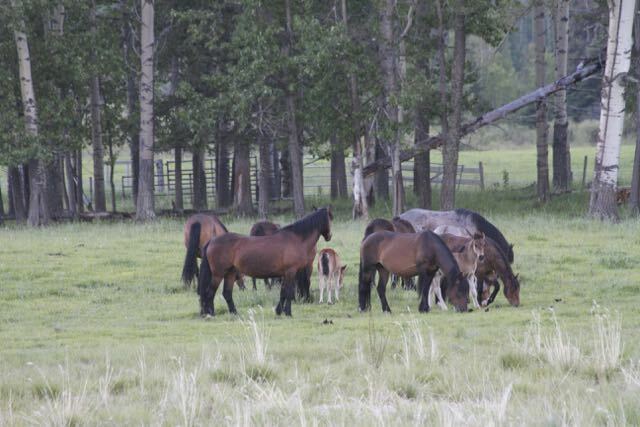 The grasses that the horses and other wildlife depend upon was plentiful due to the rains. 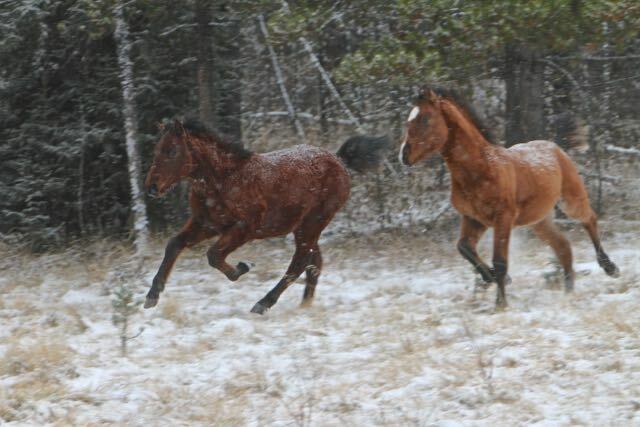 This year the foals that were born after the snows of winter melted are thriving. 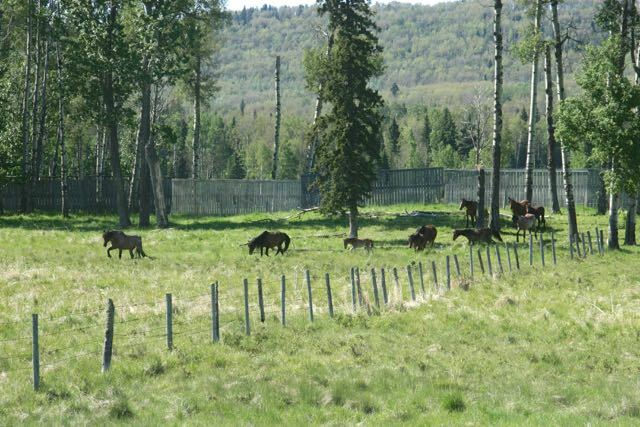 We have also found that the herd sizes in some areas are smaller with maybe a stallion, a mare and a foal. WHOAS is nearing the end of our 4th year of the Memorandum of Understanding, (MOU), we had with the Alberta government. 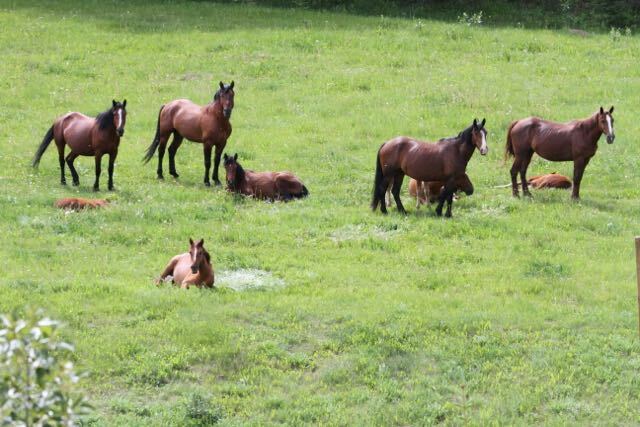 Our team of professionals ceased applying the contraception vaccine into selected mares last fall. 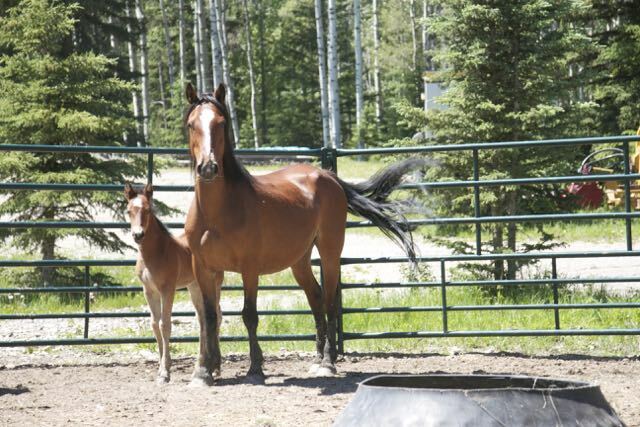 The reason for this is that the effectiveness of the vaccine on any given mare could not be fully and properly documented, in time for the research to be concluded and the final report submitted. 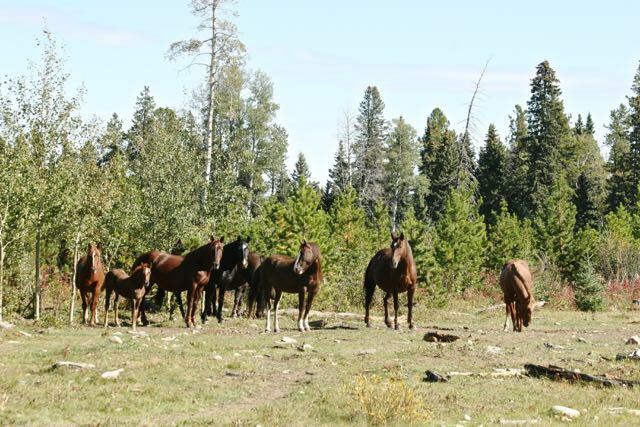 During the four years of work we think it’s important for WHOAS to show what we have found certain difficulties with ground application of PZP, i.e., distance travelled to find mares, following darted mares, difficulty of terrain in the study area, weather considerations, to name a few. We think the bottom line is that ‘IF’ it is proven scientifically that a population reduction needs to occur, then PZP alone will not be an effective and viable way to achieve this. We will then need to look at other management tools, alone or in combination, to achieve the desired outcomes. Click on the link below and this paper parallels our practical experience with scientific modelling. 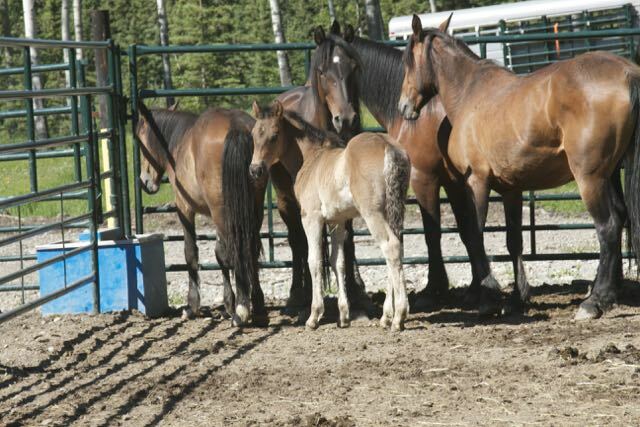 WHOAS will continue to support scientific research to assist in coming up with solutions to wild horse management. Well the heat of summer is certainly here. 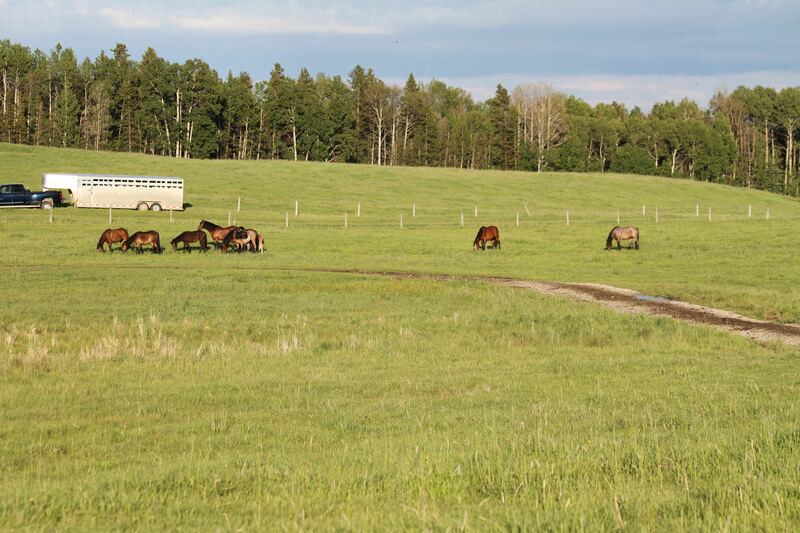 Fortunately our central Alberta foothills have been getting enough rain to keep the forests green and the grasses and other plants flourishing. 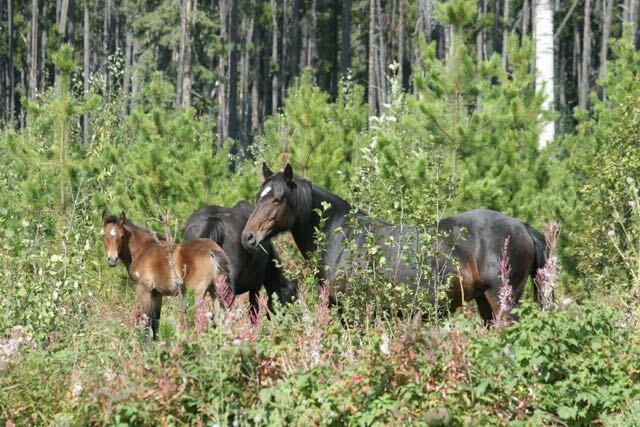 There is an abundance of forage for the wild horses and other wildlife, making life for them right now good. The nuisance bugs have not been too nasty yet, but already the horses have begun to tree-up during the mid-day to escape the heat of the sun and the flying pests. 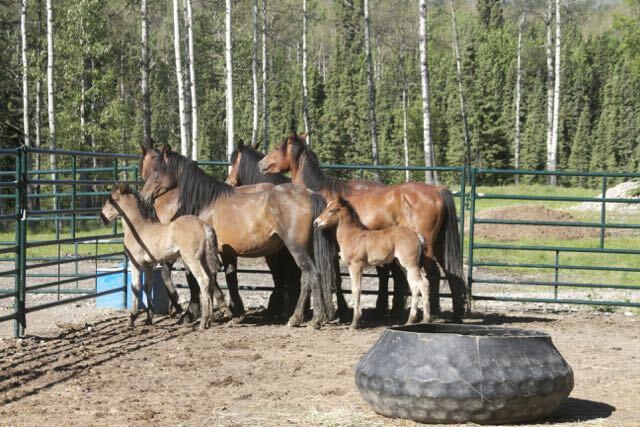 The horses have gained back good body condition and coats and all the foals are looking very healthy and strong. 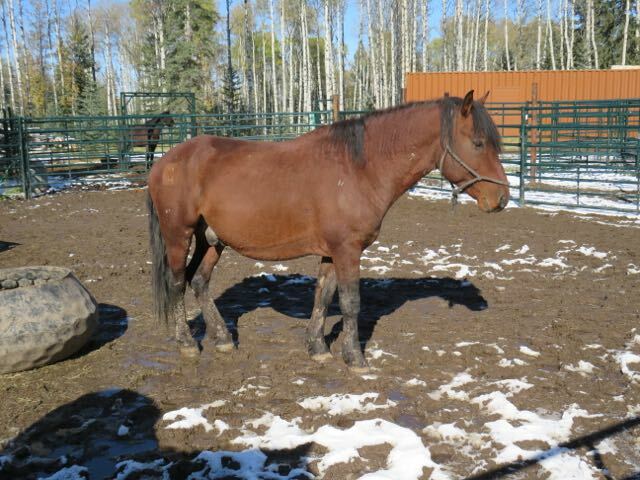 This little beauty is almost identical to one her mare foaled out two years ago. 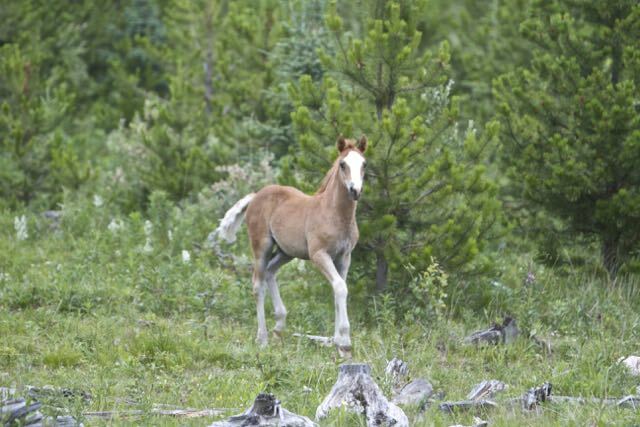 It is a very adventurous and carefree little foal seemingly always getting into trouble. Thanks to good grass and lots of mom’s nourishing milk, these two babies are full of energy and thriving. 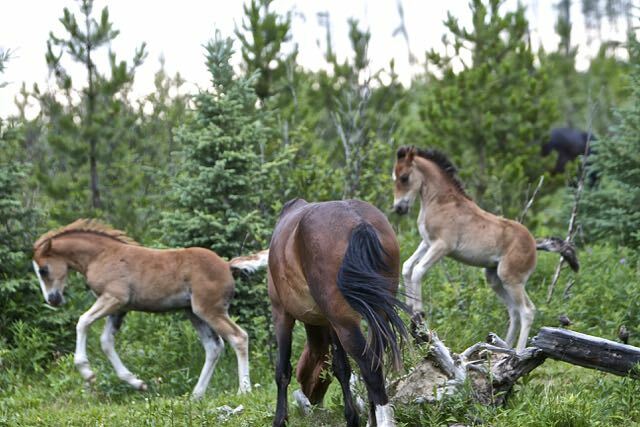 It is so thrilling and heart warming to watch the foals frolicking amongst their herds. 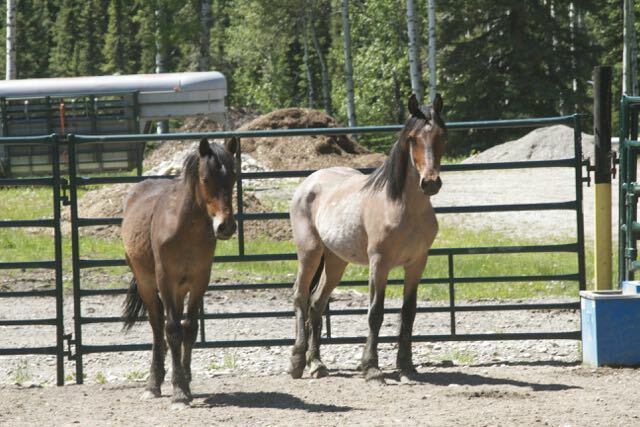 Our WHOAS facility has received lots of visitors the last while who are interested in the herd of horses we had to rescue. 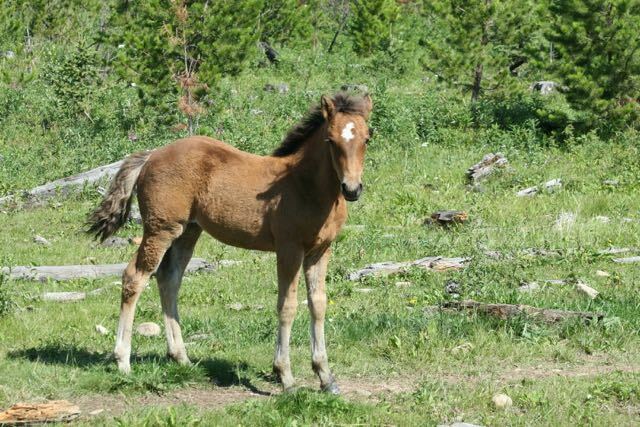 We have also had to take in another lone little stud that also got himself into trouble with some domestic horses. We have our hands full right now. 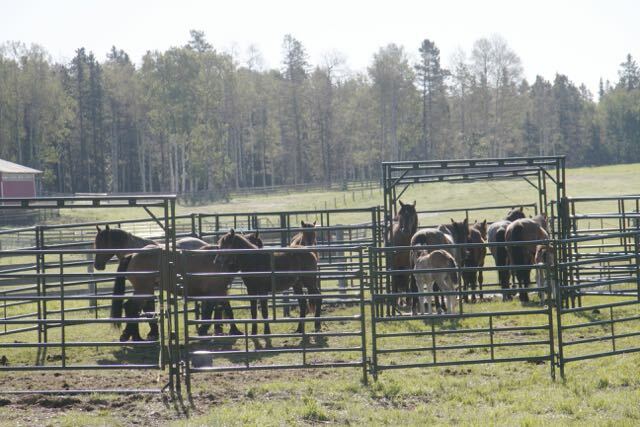 It is still very disappointing that the AEP outwardly refuses to collaborate with WHOAS in our work to provide solid management strategies for the Alberta wild horses. 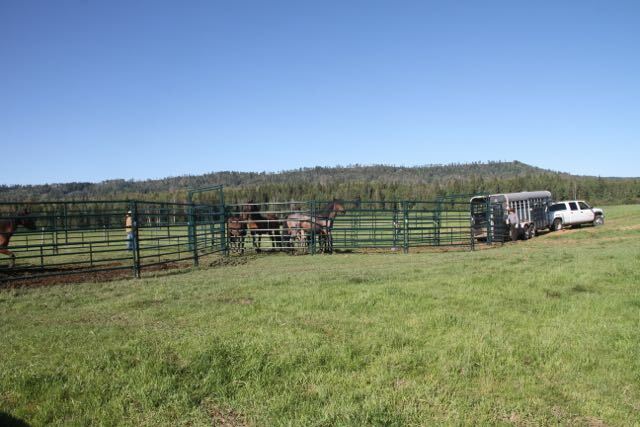 The herd of horses we had to rescue we believe were purposely pushed out of the forestry through an open gate and then forced onto the private land where they were rescued from potentially the meat buyers. The inaction of the AEP shows that they have little willingness to do something about situations like this and just close a blind eye to it. In one response to our concerns we received a statement defending their inaction by passing the buck to another government department. Their policy direction says “. 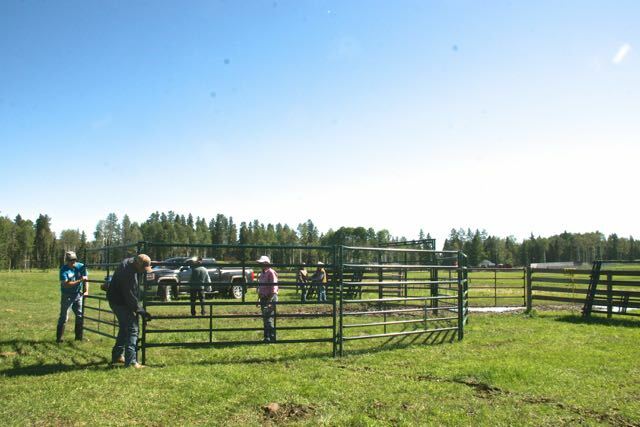 . . once they get onto Private land we have no jurisdiction whatsoever. 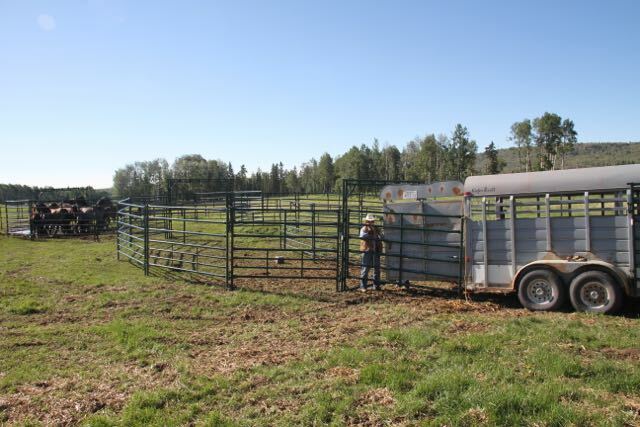 That falls completely under LIS and Agriculture and Forestry.” However, in all our past dealings, including the horses on private land, we have only dealt with just the AEP. 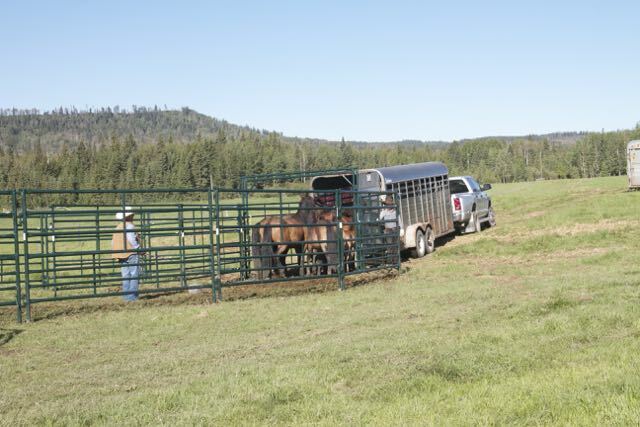 This lack of cooperation for the benefit of all parties involved, especially the horses, makes it extremely difficult for WHOAS to work toward solutions for the wild horses. These solutions are for the benefit of all stakeholders involved. This is still so disappointing as we have worked so hard. Thank you to those of you who have contacted the government about this sad situation but we have heard nothing back from the government despite all your emails and letters. Again, contempt for public opinion? We still encourage you to continue contacting the AEP, your MLA or the Premier to express your disappointment in their actions. 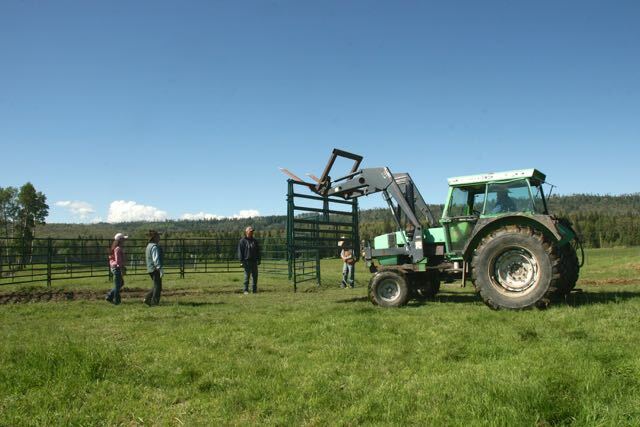 Because of this we know that we are going to have extreme difficulty in gentling and finding homes for the very mature horses from this herd. It was not their fault they ended up here. We are however working on the youngsters starting the gentling process so they can be handled safely and eventually finding forever, loving homes. 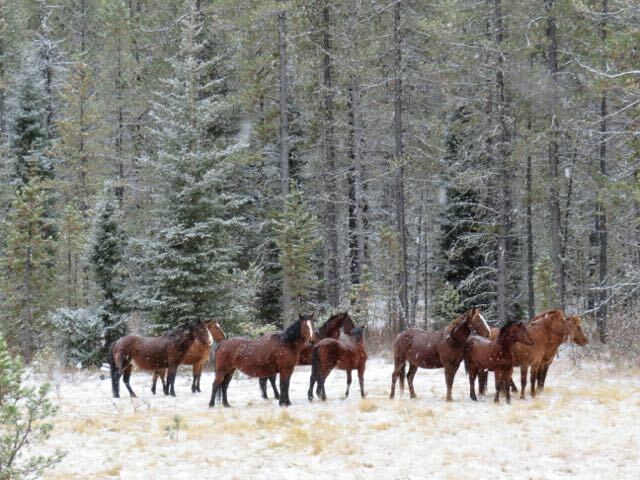 Here are the pictures of the two yearlings and two, 2-year olds. Maybe you would like to come out and see them. Our adoption application is at the top of our web page. Send us an email if you would like to visit. 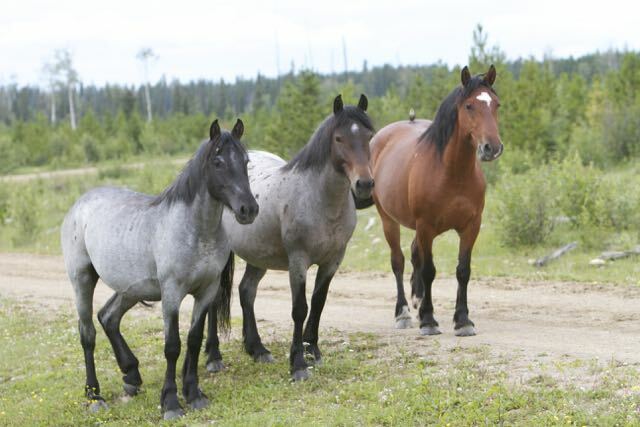 This is where they belong, roaming free and wild, the same as these three beauties.